Replace the cable on your trailer breakaway device with this durable, coiled cord. No more dragging or fraying. No need to wrap cable around your trailer frame. Works with any pin-style breakaway device. Call 800-298-8924 to order Fastway accessories and parts part number FA80-01-2140 or order online at etrailer.com. Free expert support on all Fastway products. Guaranteed Lowest Price and Fastest Shipping for Fastway Zip Coiled Trailer Breakaway Cable - 4' Long. Accessories and Parts reviews from real customers. Replace the cable on your trailer breakaway device with this durable, coiled cord. No more dragging or fraying. No need to wrap cable around your trailer frame. Works with any pin-style breakaway device. Today we're going to be taking a look at the Fastway Zip Coiled Trailer Break-Away Cable. The coiled design is going to keep the breakaway cable from dragging on the ground. You don't have to worry about any frayed ends and there's no need to loop the cable around the trailer tongue to keep it away from the ground.The coiled design also looks much cleaner when compared to a straight cable. This is a universal fit. 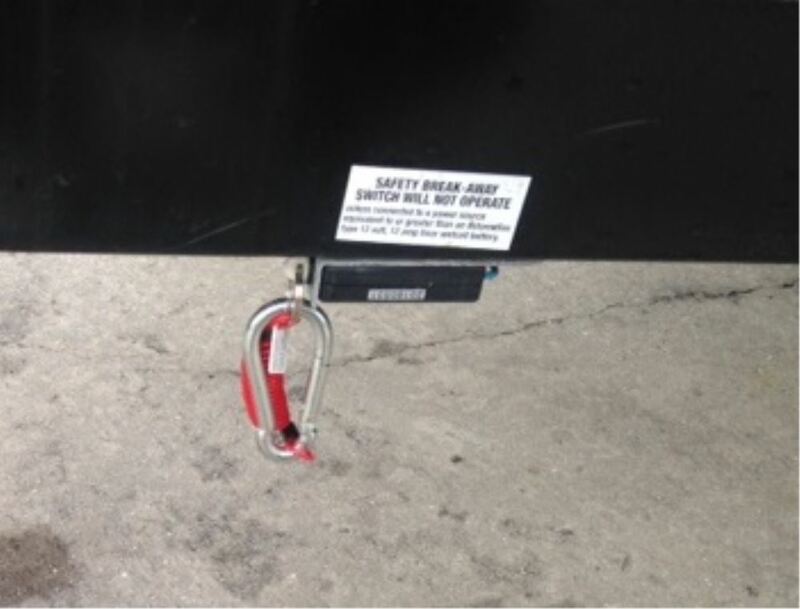 It's going to work as a replacement cable for almost any pin-style trailer break-away system. In order to replace, all you got to do is cut the old cable off at the switch pin and then thread the pin onto the zip cables integrated split ring. That's all there is to it. It's very easy to do. The unit's also going to come with the included carabiner. It's going to make it easy to clip the cable to your tow vehicle. This is a high strength cable. It's actually made out of woven steel. It's very strong and durable and it's going to have a UV protective coating that's going to boost durability. It's also scratch resistant, so it won't scratch anything it comes into contact with. The overall stretched out length of this unit is going to measure 4 feet long. That's going to do it for today's look at the Fastway Zip Coiled Trailer Break-Away Cable. 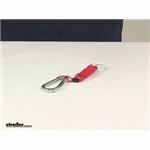 Order: RelevanceNewestRating - High to LowRating - Low to High Replace the cable on your trailer breakaway device with this durable, coiled cord. No more dragging or fraying. No need to wrap cable around your trailer frame. Works with any pin-style breakaway device. am completely satisfied with the products and would order again. For your Hopkins Brake Buddy braking system I recommend using the Roadmaster Coiled Cable # RM-8603. This can extend up to 8-feet, and the slack provided will allow for cornering without tripping the breakaway. For a 48 inch long breakaway cable the part # FA80-01-2140 would be perfect for you and would work well. This is a coiled breakaway cable that measures 48 inches in length. Trailer breakaway cables are not specific to any given brand of system so you can refer to the linked page that shows many such replacement cables such as 4-foot # FA80-01-2140 and 6-foot # FA80-01-2160. Yes, you could use the Fastway Zip Coiled Trailer Breakaway Cable # FA80-01-2140 that you referenced on your travel trailer. This is a universal design that can basically fit any breakaway kit as long as the length of the cable is adequate. The length of this is 4 feet. For 6 feet you'd instead want the part # FA80-01-2160.